In his most daring and epic adventure yet, Mr Brown Mouse rides on the back of Mrs Eagle! 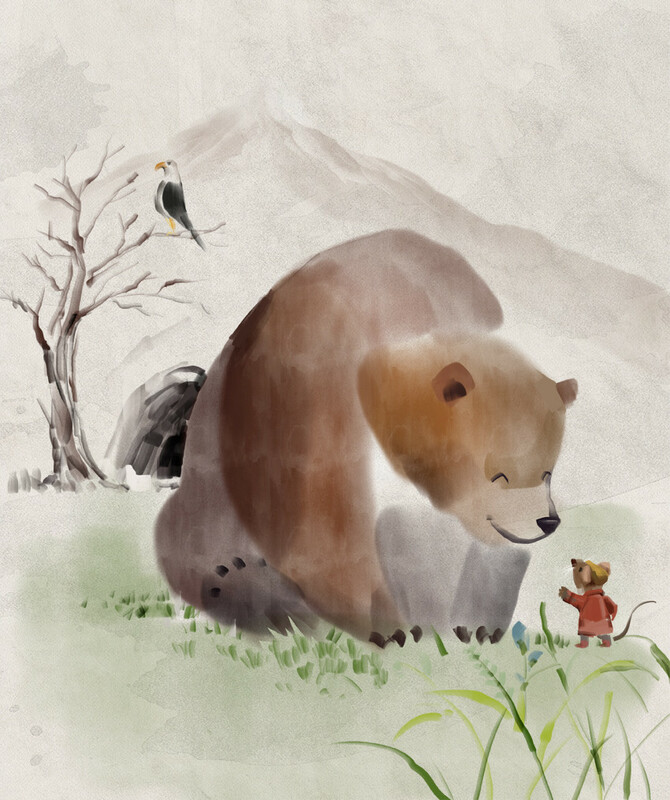 Join him as he travels over the mountains to visit his old friend Mr Bear. But will Mr Brown Mouse be able to wake Mr Bear up? A delightful tale filled with wonderful character voices (you'll love the bear! ), sound effects, and brilliant narration. 10:13 minutes with character voices, sound effects and music. Perfect for bedtime!